Ground Floor: “Main Floor” – Music House and Dance. 1st floor: “The Privee” – VIP area and wardrobe. 3rd floor: “The Box” – Funky Music and R&B. 5th floor: “” The Party “- Varied music. 7th floor: “The Terrace” – Smoking Area and Lounge Bar. Where is Teatro Kapital located? Teatro Kapital is located in the Community of Madrid province of Madrid on a very popular street for nightlife and shopping and near the Botanical Gardens. How much is cover charge at Teatro Kapital? Cover charges can be expensive, usually around 20-30 euros (22-35 USD) but they do often come with drinks. How long will I have to wait at Teatro Kapital? The line at Teatro Kapital can get long so arrive early if you want to avoid waits. When is Teatro Kapital open? Teatro Kapital is open from 12 pm to 6 am on Thursdays through Saturdays. 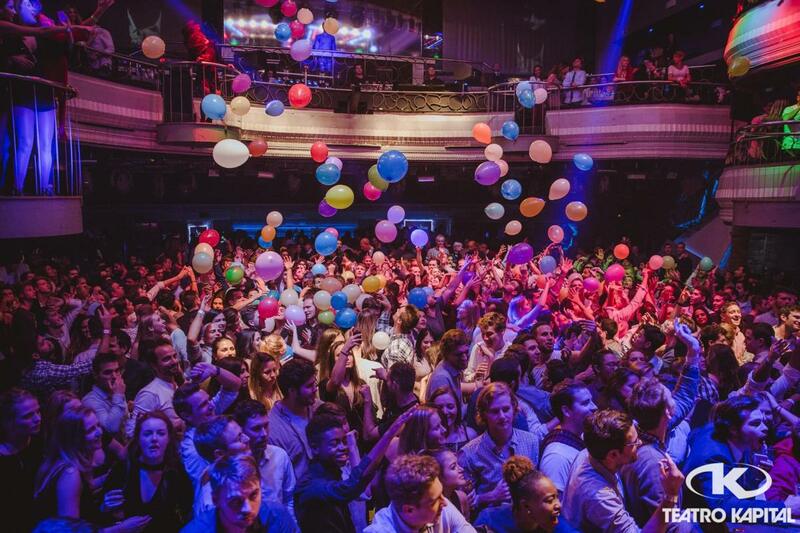 What are the best nights to go to Teatro Kapital? What is the dress code at Teatro Kapital? Collared shirt / jeans / dress shoes for guys. Avoid anything that can be considered sportswear (track jackets, jerseys, sneakers, hats, etc). If you are getting bottle service you will have some more leeway. Dress code at Teatro Kapital can be strict at times so be sure to wear a button down shirt if you are a guy. How much do drinks cost at Teatro Kapital? What kind of music do they play at Teatro Kapital? 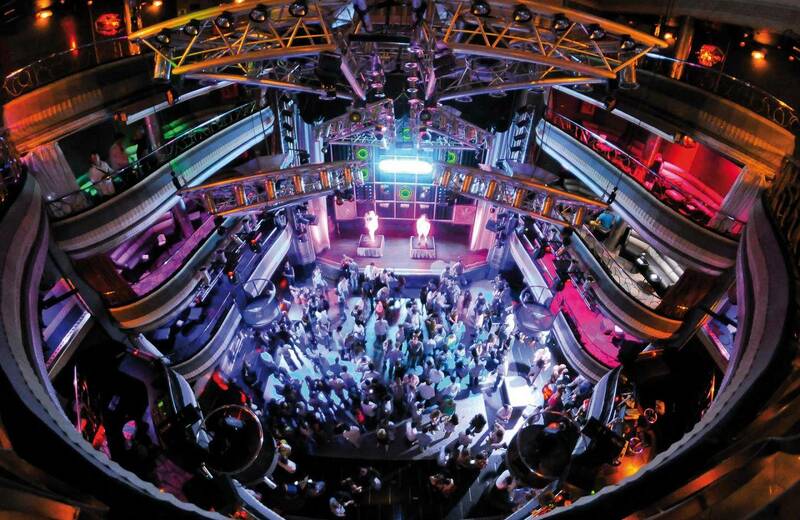 The main dance floor will usually have house and dance music but different types of music can be found on each of the 7 floors at Teatro Kapital. Where can I find an list of upcoming events / DJs at Teatro Kapital? You can download the Discotech app to see upcoming events, get on guestlists, book tables, and buy tickets for Teatro Kapital. You can also check them out on the Discotech webapp.